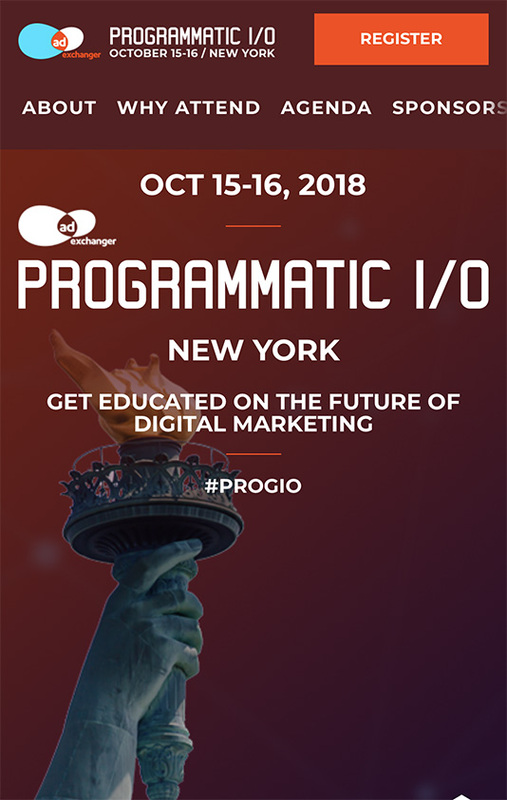 AdExchanger is an integrated media and events company that produces the programmatic media industry's longest-running and largest conference, Programmatic I/O. 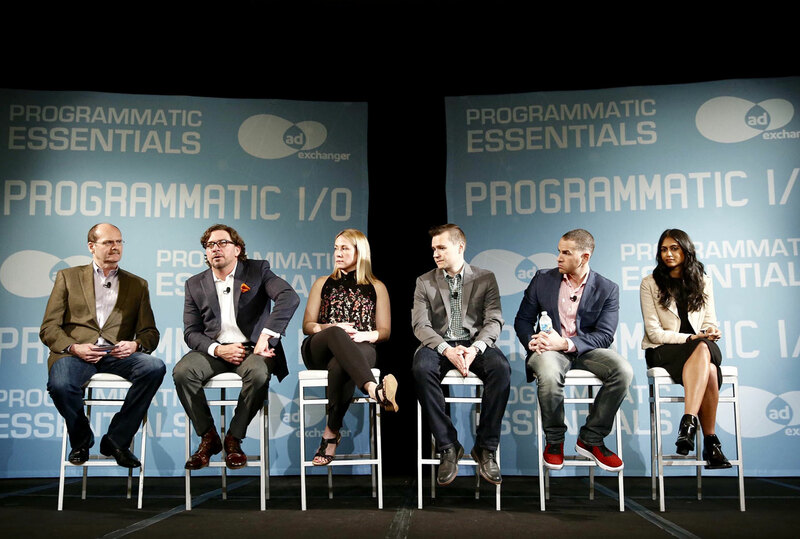 Hosted in San Francisco and New York, Programmatic I/O has become a must-attend event, connecting top brands, start-ups, publishers, and agencies with key industry leaders and influencers. 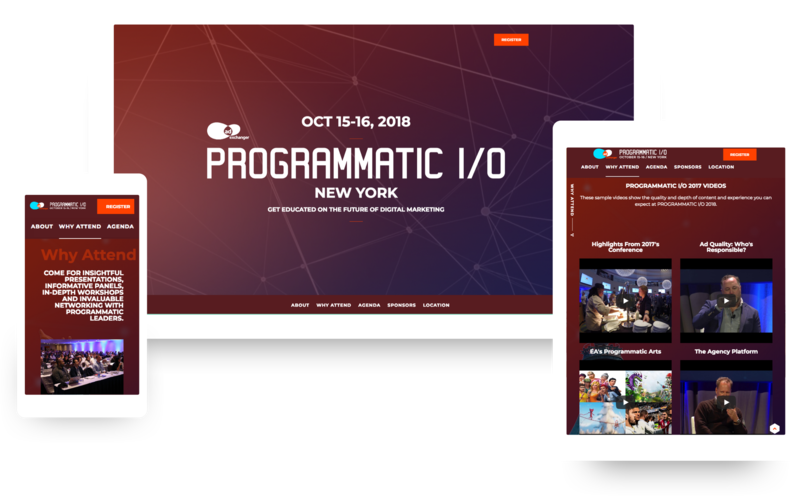 AdExchanger came to Harlo Interactive for a design reboot of a conference website that has grown along with the conference. 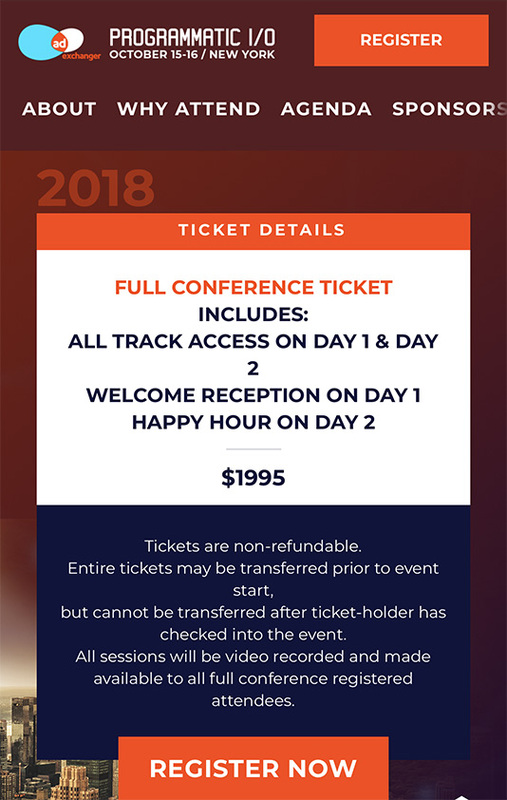 Our refresh rolled out a unified design language that could be applied to create distinct identities for both conference locations and translate well for mobile users. With a new design system, we were able to accommodate an expanded multi-track schedule and rework user flow to encourage registrations. Harlo delivered a project strategy and design flexible enough to be incrementally rolled out to meet a tight timeline, yet robust enough to keep evolving the website into the future. 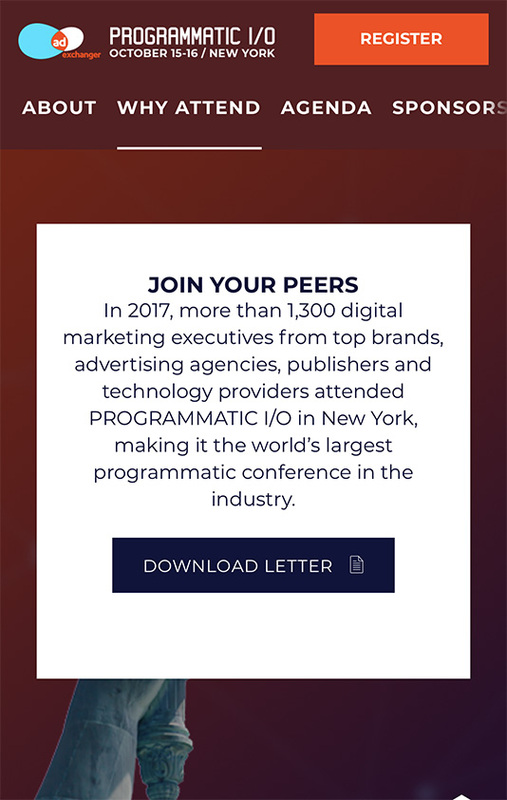 The new Programmatic I/O website is as innovative and forward-thinking as the future of digital marketing and media presented at the conference.